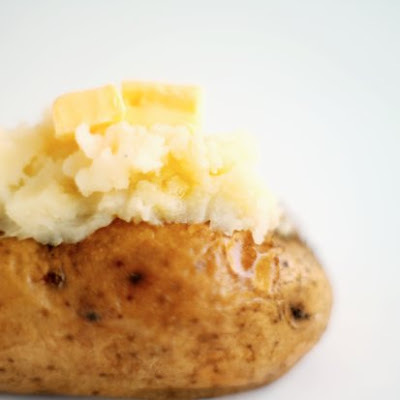 So you want to know the best way to bake a potato? Golden, crispy brown skins and soft, tasty potato-goodness inside? It's quite simple and easy to do, and if you follow along with me I will show you how to do it every step of the way. She sure knows how to make a simple thing complicated.